Engineered nanomaterials are today found in more than 1800 commercially available products. With their unique properties and potential to significantly reduce dependence on extractable raw materials, nanomaterials can potentially bring enormous benefits both to industry and society as a whole. Nanotechnology is a multi-billion dollar enterprise worldwide that may exceed the impact of the first industrial revolution and is projected to become a $1 trillion market within a few years. 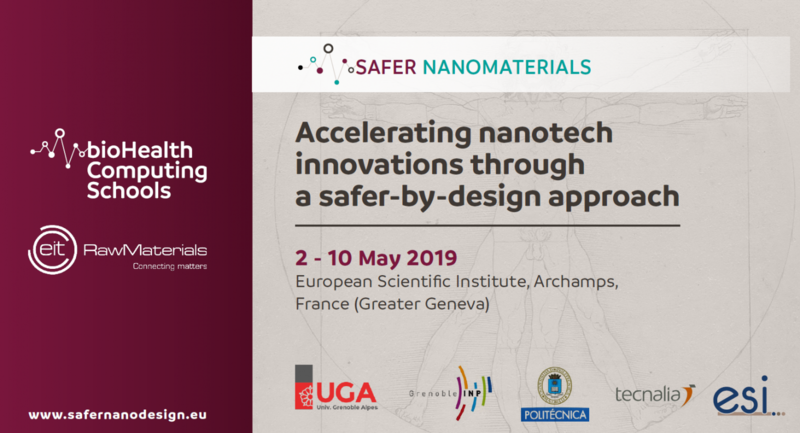 SaferNanoDesign offers a unique and transformational opportunity to broaden skills-sets in a range of fields including advanced research strategies, innovation & sustainable business planning, ethics and regulatory affairs. The Safer Nanomaterials summer school is an accelerated- learning programme proposed by EIT RawMaterials partners and the European Scientific Institute.